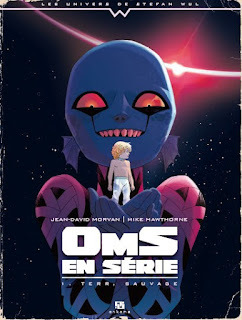 There is a new preview online for my french "BD" Oms en Série. Check it out here. 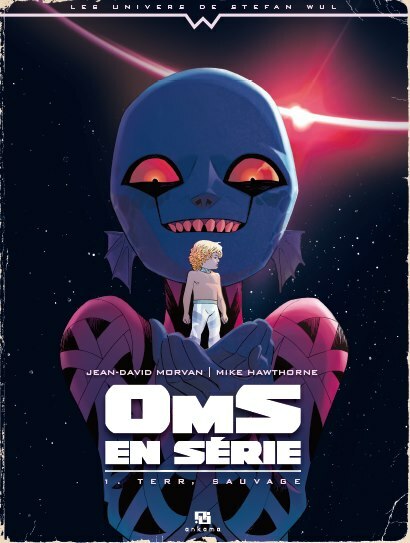 Hope you enjoy it, even if you don't read French. Feel free to share with your friends! Dang, that is some glorious art. Seriously, top stuff. I hope this gets translated so I can snag that. Question, does look like you're doing a more thinner line approach and shining on the coloring a bit more. Am I just seeing it differently or did you decide to shift a little on your approach or was this something the story/publisher requested? Maybe I'm off base on this as well. Hey Patrick, Thanks for the kind words! I hope to get a translated version too. I did alter my approach a bit, using a hell of a lot less black than I would for an american comic. I also used finer pen tips and brushes to create a more elegant line. I knew I'd be coloring and wanted to fill the space with tone and play with the color temp more, instead of relying on black to create depth on the page. Yeah, that's exactly what I am seeing. A more finer line with less rendering/shading. Which is really risky because is can also expose skill. You're pulling it off well, so don't get me wrong. But I like how you left it more open and are using the tones of the color to help set the mood, make things more eye opening, etc. This is certainly one project that when you have time, a process page posting is going to be fun to see. Moving from roughs to pencils to pen to flats to final colors. Huzzah! Oh, there is a process post in the future. Just have to find a little time to piece it together.